Excellent service provided by Courierpoint. I used express service to sent a letter to Delhi, India from Cardiff UK. It has been collected from my office 3pm on Thursday afternoon and delivered to India on Sat 1pm IST.Less than 48hrs it took to reach there....excellent tracking service as well...Really happy..Thanks Courierpoint. I have sent one courier to Chennai/india. Within 2 days it reached my home in Chennai. At each and every point I was able to track where the parcel is. Such an excellent service. My sincere thanks to courier point and DHL. Sridhar. Met and exceeded my expectations - got my documents to India within 3 days (and for a good price too)! Sent documents to India from UK in just 3 days. Very reasonable charge. Hi, I recently sent my parcel from UK to Chennai,India. Initially I had some issues with collection, since I requested for collection from main reception of my company. But the vehicle would not come into main reception as it was a huge lorry. But somehow I managed to hand over the parcel directly to the driver , who met me in goods inwards . However said that, I am very much impressed with their turnaround time. It took only 1.5 days to reach Chennai. I am very much impressed ! Used this courier service first time. I found it comparatively cheap and they delivered on-time to India. Happy. Courierpoint has just earned themselves a regular customer. I sent my parcel to India and it reached there in shorter time than what it takes for local post. Absolutely amazing! Uk to India - collection to delivery in 2.5days that too over a weekend - I am impressed with the speed. Ordered the courier service late night Thursday - Gave me a link to check the status of the parcel - all the way thru' - their agent collected my A4 size envelope with docs from my workplace on Fri pm - was in India before noon on Monday. Excellent service. Sent docs to India from Leeds. Courier picked up the parcel in an hour of booking and the item was delivered as expected. Price was also competetive. Def will be using again! Parcel was picked within 2 hours and reached India within the time stated. Will be used always. Top class service , value for money , will use it next time . Amazing , delivery to Jammu , India in 4 days , hats off ! I had to send some important documents to a remote town in India and cant believe DHL have managed to deliver it in 3 days straight !! Thanks to courier point who offered a very competitive price!! Complete worth for my money and time ! Highly recommend their website and services. top notch. Courierpoint is an online reseller for two of the most renowned names in the courier companies. As we all know India is a big country with a population of 1.2 billion people of all-different origin and languages. Our service can help you send your courier to India within 2-3 working days (add 1-2 more working days for remote areas). Our services are tailored according to our customers needs, no matter if our customers send parcels, documents, personal possessions, gifts or commercial shipments. In order to get the most appropriate available services for your shipment, hence it is important to make sure that you choose the correct type of shipment. We have shown below some price examples for different kind of courier to India. It costs you only £21.01 to ship a document on an Express service. The price starts from £32.61 on a fully trackable service. For as less as £47.72 you can have a 5kg parcel collected from your home and delivered to India. For £89.66 the parcel can be sent to India, tracked and signed for upon delivery. 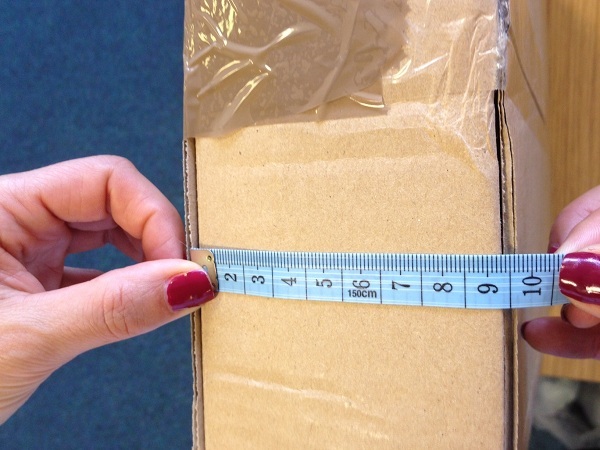 Through our services however we can move parcels much larger and heavier than 20kg. You can place your order for a parcel of 65kg directly on the website or if heavier you can always contact our very experienced customer service team who would be happy to help you with a quote for your courier to India. Our customers who require to ship large items with the weight exceeding 65kg are advised to courier the items on pallets. We have express and economy services for pallets with the guide transit time between 2-5 working days depending on the chosen service. 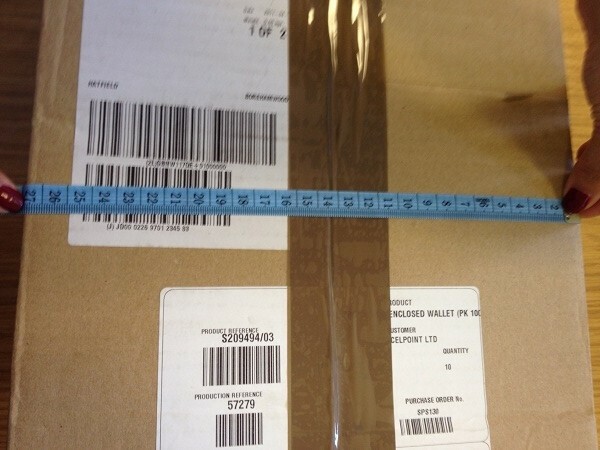 The prices of your courier to India are based on the weight and dimension of the box. 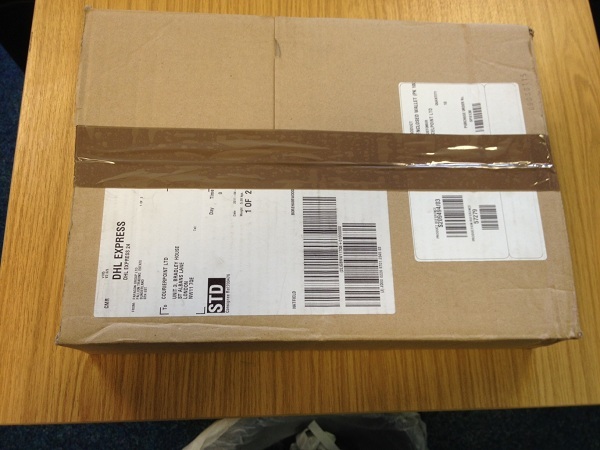 Beside this you have to make sure of some other details to ensure a proper journey for your parcel. - Get your parcel ready to go with proper packaging, maybe a hard box or even some bubble wrap if it is a fragile item. So that your parcel can reach your loved one in proper shape and avoid any wear and tear on the way to India. - Just go online at www.courierpoint.com put in your details: weight, dimensions and destination. (For example – 2 kgs, 12 x 12 x 12 cms to India) include the addresses and pay. We also include a liability for your parcels (depends on the value of your goods). Do you want an added insurance on your goods? You can instantly buy it on our website for non-restricted and non-prohibited items. - Print out the labels and please don’t forget the invoice; you don’t want your parcels to reach late to your loved one. If you want to know what is an invoice – commercial or proforma invoice, please go to our website and click on FAQ’s. - There it is you parcel is ready to go. Please note the carriers come to collect the parcel anytime between 9:00 am to 5:30 pm. If you have any more questions you can also contact our customer services on 020 8731 8653 anytime between 9:00 till 5:30 pm based in London. Just so easy door to door service. An important think to keep in mind is that all of the shipments that are going to India will have to undergo customs clearance. Customs is the government body that regulates the import of goods within the country. Some of the shipped items are dutiable, hence the receiver will have to pay an import tax based on the products or commodities you are sending and the import duty rates set by the country they are being delivered to. If you would like to surprise your loved ones on a special occasion or without a specific reason, you can do so by courier gifts to India using our services. However before sending the gifts to your family, friends and loved ones it is worth checking with the India embassy if your item is exempt of duty and taxes. Courierpoint has also services to courier your personal belongings to India. Are you a student who is returning to his country or someone who is about to relocate? Our services are here to help you with your packages. As your personal items are travelling to a country which is outside EU, do not forget about customs duty and taxes. 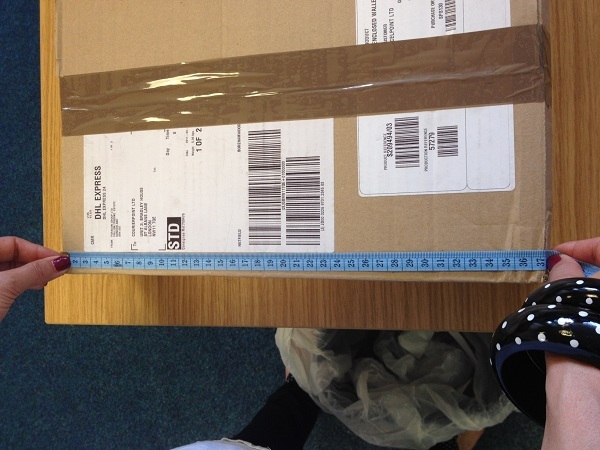 Each customer has to make sure that a customs pro forma invoice is being sent together with the parcels. The invoice has to have a detailed description of the goods inside the shipment and the value of each item as to make sure the customs have enough information to clear the shipment. We work with international branded courier companies who strive through their excellent worldwide delivery service. India is one of the most popular destination our customers are sending parcels to, hence we have different services for your courier to India at competitive prices. You can compare different carriers’ prices directly on our website by filling in the destination, weight and dimensions fields. The quick quote option will provide you instantly with the available services for your courier. You can also check all the features each service includes such as: price, guide transit time, included liability. Once you have your shipment ready you can easily place the order on our website in a few easy steps: you need to know the full collection address and delivery address. It is very important to have the receiver’s name as well as the local contact number for the receiver so that the courier company who is routing your shipment can easily get in touch with them if they require some clearance information or guidance to find the address. Then you need to list the goods you are shipping so our system can create the paperwork for you, choose the most suitable collection day, pay securely on our website, print out the paperwork and you are done. Your courier to India is ready to be picked up and travel to the destination to your customers, friends or family.